Words: Peter Nussbaum Illustration: Rafael Calonzo Jr.
Greatness there, and nothing more. Then, exhausted, sit, and nothing more. Muttered rumblings of discord come flooding through the door. Fans full of memories of their favorite highlights of yore. All are wondering what he’s thinking, thinking of nothing more? Snatches team, leaving only memories of gold jerseys they had wore. Of the great one who they had worshipped on that floor. With apologies to Edgar Allen Poe. Well done, sir. Inspired choice of source material. Watching the YouTube vids of Kemp and Payton always make me sob for how blissfully lucky we were in the 90s to witness Kemp and Payton in their prime. Wait...wasn't this a Simpsons episode...? Kidding - nice work, SSS guys. I read on deadspin that Shawn has signed a deal to play in Italy (or was rumored to have signed a deal, I forget now). that actually almost brought tears to my eyes. Nice work. 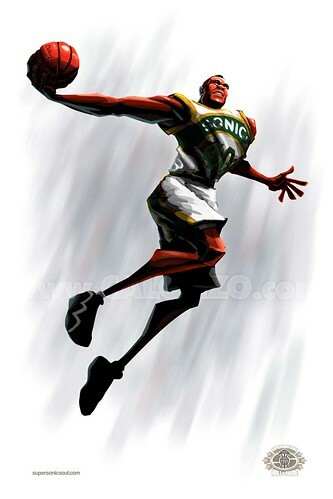 The reason why I became a sonics fan was when I saw an NBA Jam feature on Shawn Kemp. 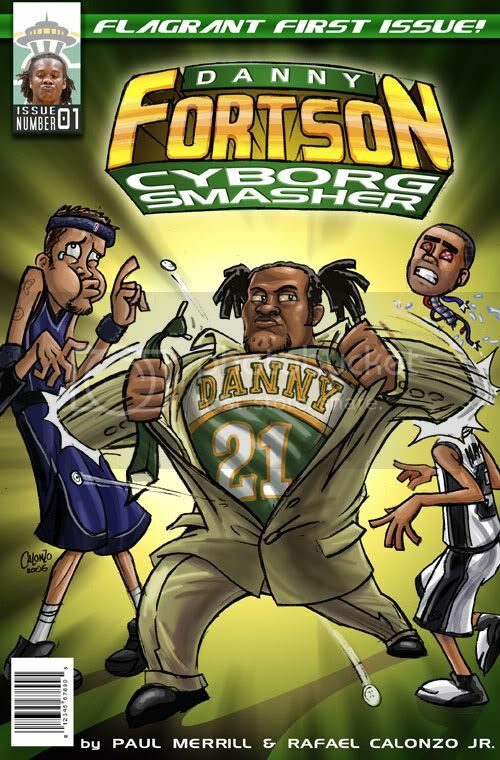 I mean he just dunked on everybody, including Mutombo. Then I saw his and GP's alley-oop clips, and I became a Payton fan. I've loved them since, even when Payton was traded to the Bucks. I still love them now even if they're in OKC. I'm from the Philippines btw. I'm glad you're a Sonics fan, Charles (yet another Sonics fan from the Philippines--did you drop off some leaflets the last time you were there, Raf?) but the team that is in OKC is NOT the Sonics. 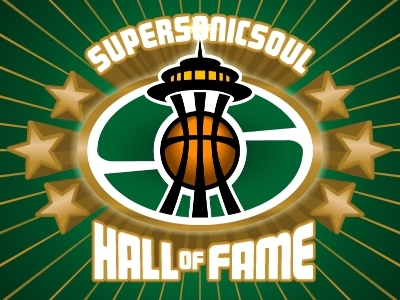 The real Sonics are still here in Seattle, burried deep under the earth, beneath the ruins of the Kingdome, waiting, like Der Golem, to rise from the grave and have its revenge on the NBA. Masterful work, Pete. Look for my less eloquent profile of Sir Dunkedalot tomorrow.